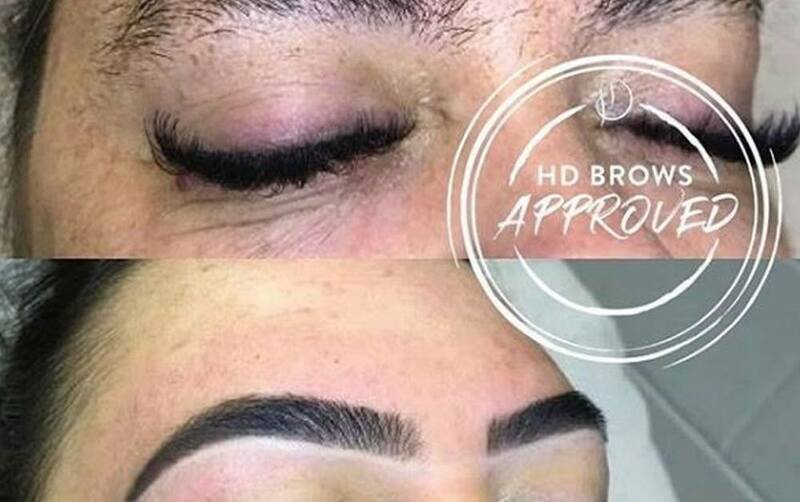 HD Brows is a bespoke treatment focusing on ultimate brow design and long-term goals. We’re not about quick hair removal and there’s no ‘one shape fits all’ here. 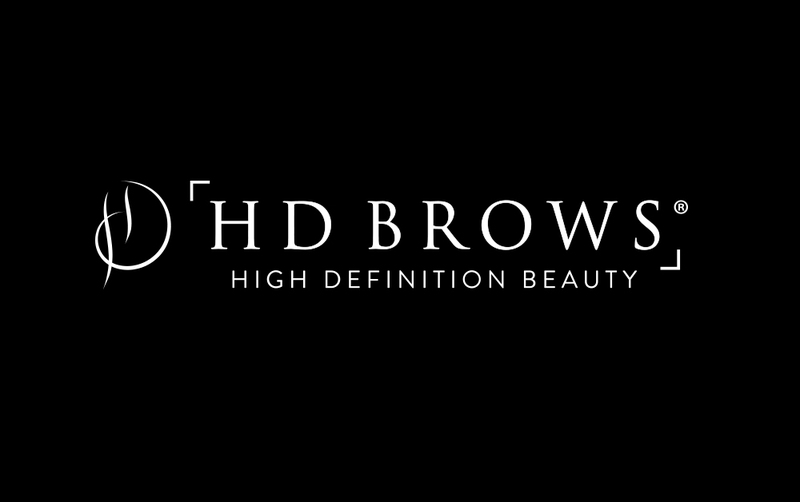 You can find out more about HD Brows here. 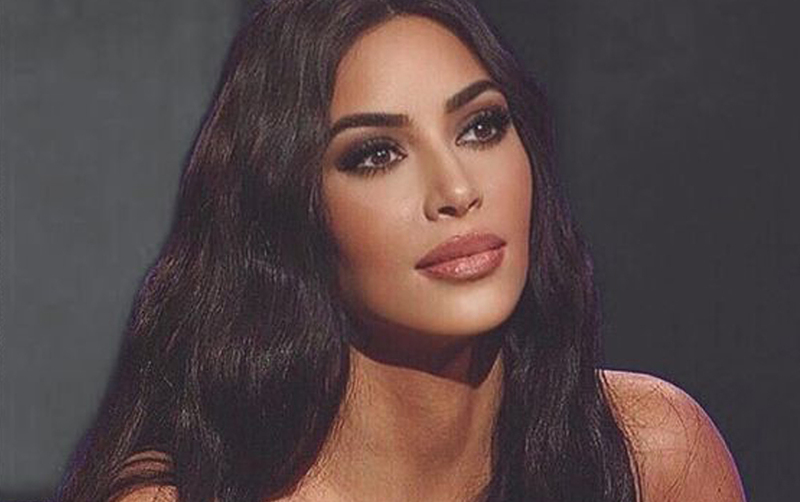 Are you ready to start the journey to achieving your #BrowGoals? 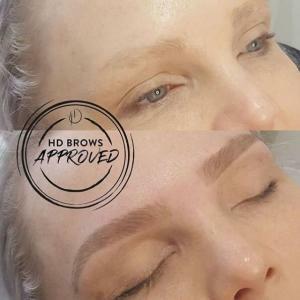 To help you visualise the results that are achievable with the HD Brows treatment we have got together some of our favourite before and after pictures. 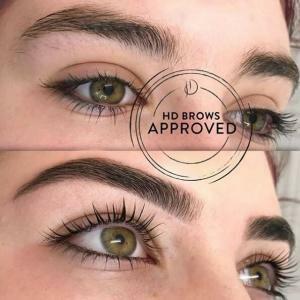 These pictures were over several treatments with the stylist working on specific regrowth areas to achieve Brow Perfection. 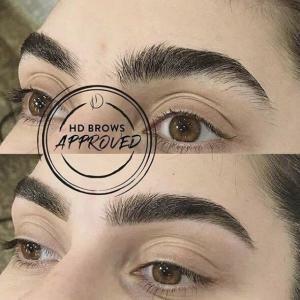 Let’s kick things off with these super soft natural brows. With a slightly more fuller look than before, I’m sure you will agree this is a brilliant transformation by @lisa_shannon_makeup. This before & after of influencer, Niki Mahon, shows a slightly more subtle change. There’s now a subtly fuller appearance thanks to added thickness at the arch. The arch has also been lowered for a more flattering brow shape. 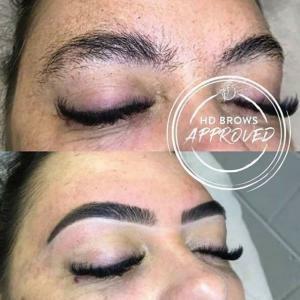 This before and after truly shows the magic involved in the HD Brows treatment. Amazing work by @sharleen_hdbrowsandmakeup. Now for a transformation by our Lead Brow Stylist and Elite Trainer, @_jamielong_, when influencer @itsfinallyfiona paid him a visit. 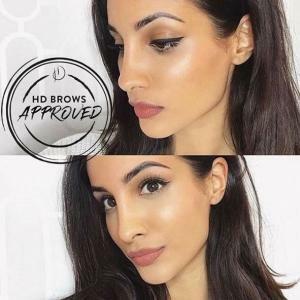 With just one treatment these overplucked brows have a fuller look. 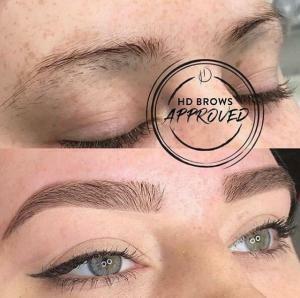 @browsbybecka has shaped these brows to perfection whilst keeping the fronts textured and on-trend. 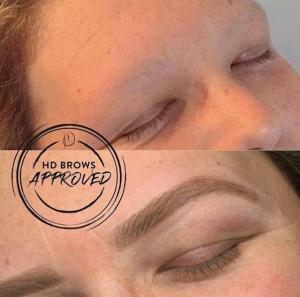 Master HD Brows Stylist @beautyby_lola proving that the HD Brows treatment doesn’t result in big dark eyebrows. We love the soft tone of this huge transformation. Think your brows don’t grow? 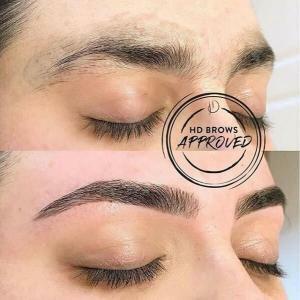 Here’s proof that by ditching the tweezers and leaving it to the professionals you brows can have a new lease of life. This amazing transformation was done by Master Stylist Aimee at @thebrowprojectofficial over a number of treatments. Our high-quality tint picks up all the fair, fluffy hairs that you didn’t even know were there and incorporates them into your brow shape. This helps to create even better transformations. 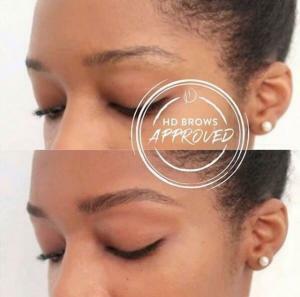 Just look at the difference @houseofbeautykh created on these brows. Think you have very little or no brows? 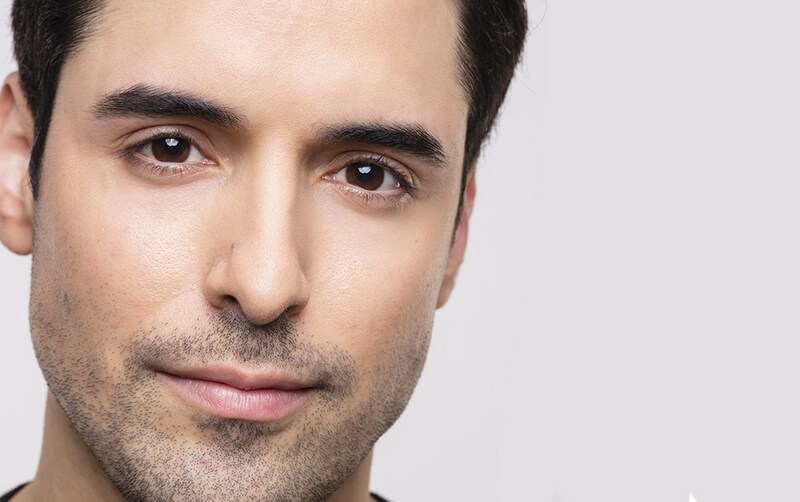 think again @christiewilkinsbeauty showing the amazing results of just one HD Brows treatment. What better way to end than with our most liked transformation on Instagram in 2017?! It’s clear to see why this received the most likes. It’s hard to believe all this was achieved with just one treatment. Amazing work by @cbeautyyy1. 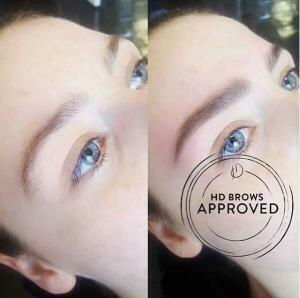 Want to see what could be achieved with a HD Brows treatment? Find your nearest Stylist here.